And with my Hamilton Beach Two Way FlexBrew fresh out of the box, I prepare myself for some two-way brewing action. 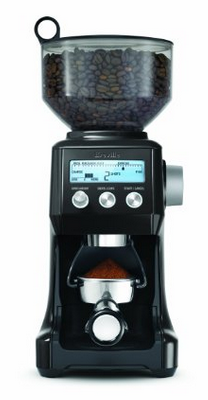 Right away I had this baby proudly displayed on my counter top and we were brewing up some coffee using our favorite beans (Crema E Gusto) and our Breville Smart Grinder on hand to grind more beans if needed. The above video of the FlexBrew is very straightforward and we think it teaches us a couple of important things, such as the fact that the cord in the back is retractable (some don’t realize this), and that there is a red light which comes on when the plate is hot. Not huge revelations, but I’d recommend watching this video, or a similar one, just to get a sense of the way this two-way coffee maker works, before you buy it, or even after. 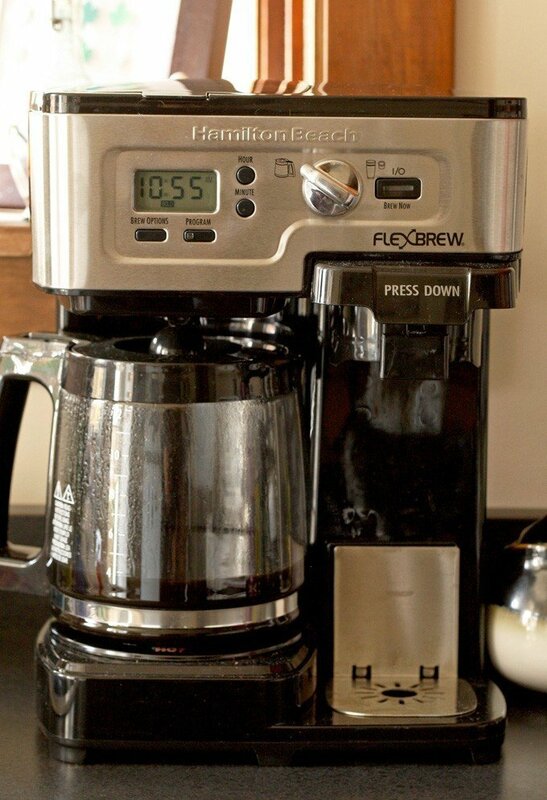 Once I got brewing with the Hamilton Beach FlexBrew, the first thing I noticed was how easily adjustable it is. The FlexBrew is named as such because its really designed to brew you exactly what you want at any given time – either a single cup or a pot of coffee. Personally, I could go either way which is the true beauty of this little machine. 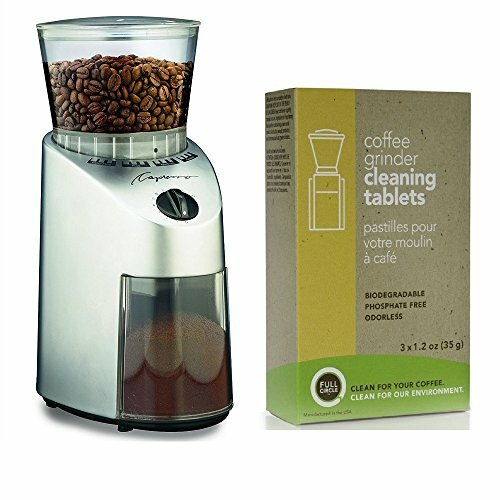 When you open the box you will get the machine itself, the carafe, a coffee grounds basket, a tray and two inserts (one of them is used when brewing K cup coffee and the other is used for brewing ground coffee). These guys really thought of everything – there’s nothing lacking here to get brewing. There’s also a manual and a Quick Start Guide. Aside from the flexibility of this machine, the thing I like best about it is how it doesn’t take up too much space. It’s 13 inches tall, around 10 inches wide and 10 inches deep, and does a surprising amount of tasks in such a compact space. Mine sits comfortably on my counter most of the time, but I can put it away if I need to. I want to focus on the coffee maker’s set up a little bit more – the front part has the display where you can see the clock and the indicator which shows you the mode you have chosen to brew your coffee. There are two options here – you can switch the indicator to brew a whole pot of coffee or a single cup, as I said before. Also, you can pick either ground coffee or K cups. To select either of these two types, there’s the button right below the clock display. Also, don’t forget to switch the indicator to “cup” when picking between K cups or ground coffee. The most important button, the power button is on the far right – it’s black and you can’t really brew your coffee before pressing that one. You can also set the brewing time – hours or minutes, which means if you have chosen to brew a whole carafe, you can set your Hamilton Beach Single Serve Coffee Brewer to start brewing at the exact time you want. Very nice! Right in the bottom of the Hamilton coffee maker there are two plates – the one on the left, the bigger one is for the carafe, while the one on the right is for your cup. 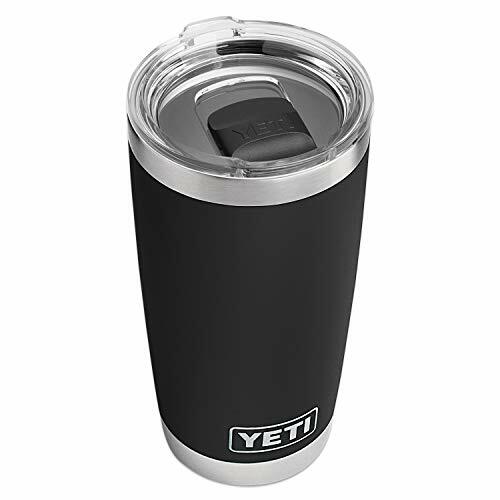 The coffee cup heating plate is removable; you can flip it over if you’re using a small coffee cup (this is a good solution if you don’t want to have coffee squirting all over the counter). If you are using a large cup, then don’t flip over the plate. There’s enough space for your tall cups. 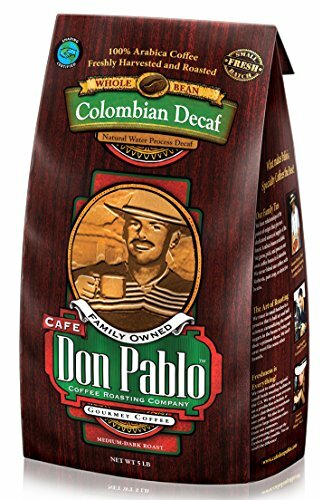 For individual coffee brewing, use the pierced insert which is specially made for K cups, while the other one, that seems more like a wired filter, is made for filtered coffee. The inserts go into the tray which then is attached onto the machine (on the right side, right above the place for the cup. Fill the water tank from the above, set the wanted brewing way, a cup or a carafe and select ‘brew now’. If you decide to brew coffee in the carafe, you will add coffee in the top container, right above the coffee maker, then set the indicator that you want to brew in the carafe; set the desired time and just wait for it to drip down the glass carafe – its really easy! Once the coffee brewing process is done, you will hear beeping. For both cases, I want to warn you, the plates are super hot and even though there are warning signs, please don’t forget yourself and touch them. They get heated up to 400 degrees and you could get a nasty burn off of these. When comes to cleaning, the carafe can be washed in the dish washer. The machine can be easily cleaned with a damp cloth, but only when it is unplugged from the power. This is a neat little machine that does a great work, is pretty quiet and fast. Also, it is available on Amazon now for a great price. 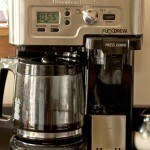 My Hamilton Beach FlexBrew coffeemaker always prepares a tasty coffee for me, and I would recommend it to a friend anytime. 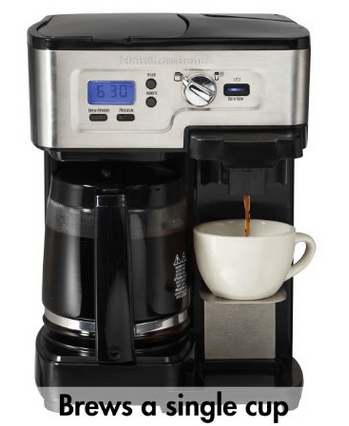 I’ve read that a few people have been fairly unimpressed with the taste of the coffee resulting from their Hamilton Beach Two Way FlexBrew Coffee Maker. Personally, I think that maybe this is because they don’t grind their own coffee, but this is just my opinion. Once I switched over from the generic brands of pre-ground coffee to grinding it myself, it made a huge difference. 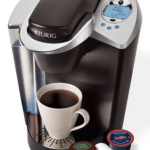 Hence, I must encourage anyone who is serious about making coffee to get themselves the best coffee grinder they can for their budget, because this will make a big difference in their morning cup of coffee. Just a tip from me to you! Here are two videos which help to solve some of the most common questions and concerns about the Hamilton Beach FlexBrew. Very helpful! Should preemptively solve a lot of issues that might come up with you and your FlexBrew over the years. This next video takes a look at one particular issues that comes up often with the Hamilton Beach FlexBrew. This helped me out a lot, actually. Sometimes when using the single cup side, it starts the brewing, then turns itself off with a flashing message saying Needle?? Why? and how do I fix it?